Students, besides studying, should learn some skills. Cooking is a great option. East Asian Cooking Club at Whitman College is a student organized club for all Whitties to learn how to cook Asian style food, and make dishes by themselves. 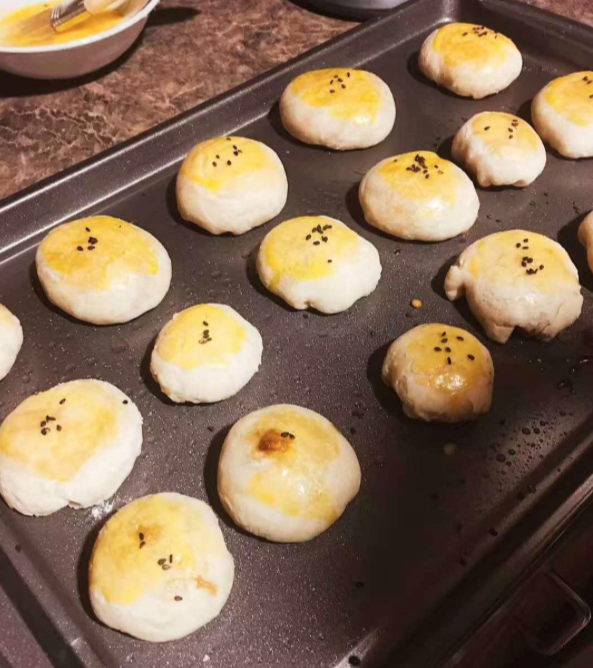 I started participating in the club during the 2017-18 school year and would like to talk about one dish we made— Suzhou style mooncake. Suzhou style mooncake was something we made for all our campus events last semester. Before everyone started to make the mooncake, club members like me had already made Boba milk tea for participants. Suzhou style mooncake seemed to be hard to make but was actually easy when we were involved. Everyone had their own jobs: cutting meat, vegetables, mixing materials together, brushing mooncake surface with egg liquid. After 25 minutes of baking, everyone tasted the delicious mooncakes they made. We also got chance to make curry omurice, egg crepes and noodles that cost less time to cook. Cooking is an experience that is irreplaceable, not by Uber Eats nor any restaurants in the world. For college students especially, cooking is the skill that enables us to survive after we graduate. This entry was posted in Campus Events, Student Life.